Every year our specialty society, The American Society for Aesthetic Plastic Surgery (ASAPS), issues their annual statistics on Cosmetic Surgery in the US. 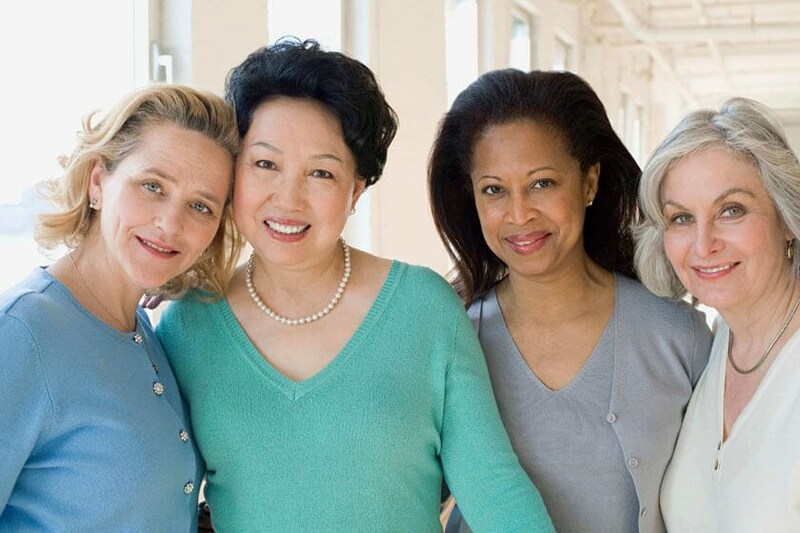 Of course, our practice is a little different, with labiaplasty and facelift ranking high, but we also do a lot America's top five procedures. So what are they? #1 Liposuction: Liposuction first hit the scene in the 1980s, and it hasn't slowed down. Through the years the instruments and techniques have improved so that now we can offer liposuction combined with laser (such as SmartLipo) to remove fat and tighten skin. 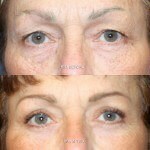 The tightening we see from laser gives us great result in areas we used to ignore, such as the arms and under the chin. So it's no surprise that Liposuction is such a favorite. #2 Breast Augmentation: In the past couple of years, breast implant companies have released their best products ever in the States. The first generation gel implants were prone to leakage and hardening. The saline implants, which were the only option for a decade and a half, looked and felt like bags of water in thin patients. No finally we have fifth generation implants that are highly cohesive, yet soft. As surgeons, we love a product that makes our work look great, and patients love them. #3 Blepharoplasty (Cosmetic Eyelid Surgery): We communicate with our eyes, which means of all our facial features, our eyes take center stage. With age, skin sags and fat bulges, resulting in a curtain of skin that can hide they eye's beauty and bags underneath that gives a look of fatigue. Often combined with a facelift and laser resurfacing, eyelid surgery, even when done alone, refreshes and rejuvenates without changing the character of the face. #4 Abdominoplasty: Our patients love our own new and improved no-drain technique, so it's no surprise how popular tummy tucks are. In addition to delivering an appealing, slenderized contour, tummy tucks with muscle repair can improve back support and, in some patients, even relieve lower back pain, too! 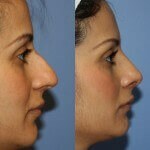 #5 Rhinoplasty (Nose Reshaping): We communicate with our eyes, but the nose has a starring role as well. Our rhinoplasty patients are some of our more grateful after removal of a hump or a bulbous tip reveals a beautiful, feminine face. Patients who say they thought about their nose every day for years, constantly thinking about how to avoid a profile view, can finally forget about their nose and enjoy life. How Popular is Cosmetic Surgery in America? The American Society for Aesthetic Plastic Surgery surveys not just its members (all board-certified plastic surgeons) but also other doctors performing cosmetic procedures, so their annual report is considered to be the authoritative source. So how popular is Cosmetic Surgery in America? Since 1997, when ASAPS began their national data bank, the total number of cosmetic surgical procedure jumped almost 90%, and nonsurgical procedures (like Botox and fillers) jumped a stunning 521%. So if you're thinking of Cosmetic Surgery, you're not alone. Just do your homework before your surgery and choose your surgeon wisely so you can be one of the many happy patients who are bumping up those Cosmetic Surgery numbers every year.